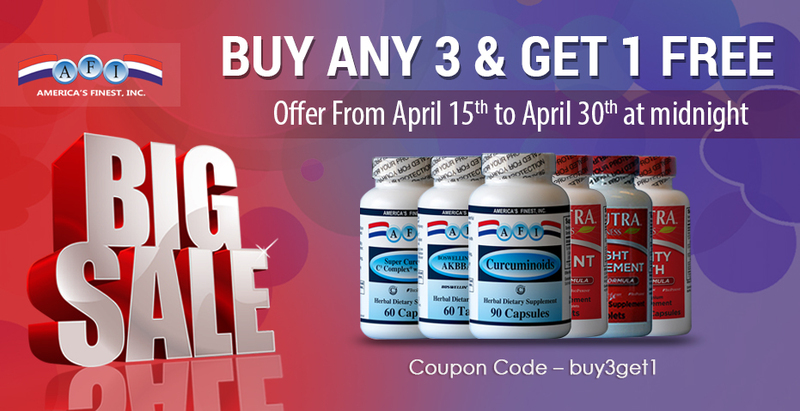 Buy any 3 Products – Select FREE Product of Choice! Buy any 3 Products – Select a FREE Product of Choice! Call 1-800-350-3305 to place phone orders! *Visit our website www.afisupplements.com to place your order. The information provided on this site is for informational purposes only and should not be used as a substitute for advice from your healthcare professional or your physician. The product statements have not been evaluated by the U.S. Food and Drug Administration, and these products are not intended to diagnose, treat, cure, or prevent any disease. No medical or health claims are made with respect to treatment, prevention, mitigation, or remediation of illness, diseases, or medical conditions.